When Rick Short, director of marketing communications for Indium Corporation, began thinking about his social media strategy, he started with keyword research. 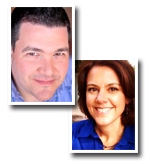 He identified 73 of the most important keywords his prospective customers would search for. Then he created 73 different blogs that focused on each keyword and assigned a dozen employees to write those blogs. The results amazed him. Once the blogs took off, customer contacts increased 600% in a single quarter. And everyone who contacted a blog author, commented on a blog post or downloaded a white paper opted in to the company’s customer database. Can you guess what Indium makes? Underwear for Victoria’s Secret? Chocolate bonbons? Power tools? No, they make solder paste and other electronic assembly materials. Customers like circuit board manufacturers, solar panel manufacturers and the semiconductor industry. So what can you learn from Indium? It doesn’t matter how obscure your product or service is. As long as you fill a need in the marketplace, you have customers. And you can use the same techniques that Indium used to attract prospective customers. Namely, focus on content. Content is king, remember? Because we’re a species that communicates using words that are strung together in sentences, paragraphs and stories. But we’re not talking about stringing together a bunch of words that will interrupt people who are trying to read the newspaper. We’re talking about stringing together a bunch of words that will attract people who are looking for that exact group of words. Because that’s exactly what people are doing – searching for information. At the time they need the information. Not before, not after. And they’re searching the Internet. #1. Show, don’t just tell: Rather than focusing on why your product is great, show people. This can be accomplished through well-crafted case studies (also known as success stories). This type of content draws people in because everyone wants to achieve success. You can create case studies by focusing on a problem faced by a customer, how your product helped solve it, and what the results were. #2. Stoke the campfire: Try creating content that gets a conversation started. Remember those childhood overnight camp outs? The best times are often had around the campfire. And content that is highly sharable will spark a flame that will care it to other places. This type of content could include new trends in your industry. You could highlight hot new research to your customers and prospects. #3. Play to your strengths: Do you have a radio voice but can’t write at all? Perhaps you should be focusing on podcasts instead of white papers. Maybe you’re really good on camera? Focus on where your strengths are and produce content in your comfort zone. #4. Speak human: The people you are targeting are not search engine spiders and are likely not as technically knowledgeable as your engineering team. Speak to people in a voice they understand. That means losing complicated jargon and instead adopting a conversational writing style. #5. Reimagine: Have you got some great content that is sitting idle? How about repurposing it. For example a great presentation can be transcribed and turned into an ebook. A white paper can be the inspiration for multiple blog articles. If you’re still struggling with your content marketing campaign because you have no idea what to write about, you need this book. 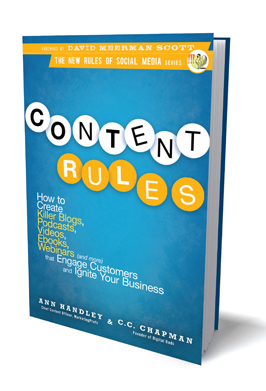 It’s the complete guide to creating content that will draw prospective customers directly to you. You’ll even learn the 1-7-30-4-2-1 publishing schedule so you can produce content at a steady pace. Here’s a tip: You’ll know exactly what to publish daily, weekly, monthly, quarterly, semi-annually and annually. After all, producing good content is like building a campfire – you have to keep the fire burning long enough to gather all your friends around it and tell stories. Because that’s exactly what you want your prospective customers to do. You want them to gather around your content and share it with their friends. If these techniques work for Kodak, Boeing and the U.S. Army, they’ll work for you. We guarantee it! Social Media Examiner gives this book five stars. Do you use content to grow your business? How has it helped? What tips can you share? Leave your comments in the box below. Ruth M. Shipley is a freelance researcher and writer who loves to write a good story. Because that’s what most people love to read! See her Social Media Examiner page for more stories about social media books.